Modern Chinese literature and culture in comparative frameworks; critical theory and translation studies; aesthetic modernity in the 19th and 20th centuries; intellectual history of China; comparative poetics. 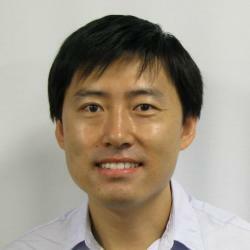 Pu Wang is Assistant Professor of Chinese and the Helaine and Alvin Allen Chair in Literature. Having yielded a book, two conference seminars, and a number of articles, the major component of his research of the past few years focuses on translation, revolution, and historical imagination in modern Chinese culture. His first monograph, titled "The Translatability of Revolution: Guo Moruo and Twentieth-Century Chinese Culture" (Harvard University Asia Center, 2018. 325pp, 9 illustrations), is the first comprehensive study in English of the lifework of Guo Moruo (1892-1978), a towering--and highly controversial--figure of China's revolutionary century who worked as a Romantic writer, Marxist historian, and prolific translator. Currently, Dr Wang is working on four scholarly projects: First, he recently started a new research project about modern Chinese travel literature, tentatively titled "The Experience of the Faraway: Travel Writing and Utopian Geopolitics in Revolutionary China." Second, he is co-editing a special issue on the transmedial representations of the ancient in modern Chinese culture for Frontiers of Literary Studies in China. Third, he is completing a volume of poetic criticism in Chinese. Fourth, he is writing a series of essays in Chinese about the controversies surrounding the global 60s and its legacies. Dr Wang also works as Chinese translator. His Chinese translation of a critical biography of German-Jewish intellectual Walter Benjamin (1892-1940) is under contract and forthcoming. In addition, Dr Wang is a poet writing in Chinese. His first book of poetry, Baota ji qita (2015), received high acclaim. Wang, Pu. "“Re-periodizing the 60s: A Maoist Internationalist Perspective”." “1968 in Global Perspectives,” the 20th Annual Comparative Literature Conference at University of South Carolina. Columbus, SC. February 15-17, 2018..
Wang, Pu. "“The Transmediality of Anachronism: Reconsidering the Rewriting of Antiquity in Revolutionary China”." The 2018 Annual Meeting of the Association of Asian Studies. Washington DC. March 22-25, 2018..
Wang, Pu. "《“五月风暴”的几个侧面》 (Some aspects of May 68: a review of Kristin Ross’s May 68 and Its Afterlives)." 《读书》 July 2018: 94-103. Wang, Pu. "《“同路”和“同时代”：勃洛克的》（The fellow traveler and the contemporaneity: on Blok’s poem The Twelve）." 澎湃网·上海书评 (2018): <https://www.thepaper.cn/newsDetail_forward_2072144>. Wang, Pu. "《五月之后①：法国68的绵延与遗忘》（After May: duration and forgetting）." 澎湃网·思想市 (2018): <https://www.thepaper.cn/newsDetail_forward_2199088>. Wang, Pu. "《五月之后②：六十年代“再断代”》（After May II: reperiodizing the Sixties）." 澎湃网·思想市场 2018年六月. (2018): <https://www.thepaper.cn/newsDetail_forward_2199089>. Wang, Pu. "《孔夫子与“人民”：郭沫若和革命儒家的浮沉》（Confucius and the People: on revolutionary Confucianism）." 澎湃网·上海书评（Shanghai Book Review） 2018年八月. (2018): <https://www.thepaper.cn/newsDetail_forward_2372365>. Wang, Pu. "《新诗深入内陆：纪念穆旦诞辰百周年，兼谈“中国性”》（Poetry into the hinterland: Mu Dan and Chineseness, in commemoration of the poet’s centennial）." 澎湃网·上海书评 (Shanghai Book Review) 2018年6月. (2018): <https://www.thepaper.cn/newsDetail_forward_2198391>. Wang, Pu. "《艺术的罢工：法国五月风暴的美学难题》 （Art on strike: the aesthetic problematic of May 68）." 《文艺理论与批评》 （Literary Theory and Criticism） 2018. no.6 (2018): 30-37. Wang, Pu. The Translatability of Revolution: Guo Moruo and Twentieth-Century Chinese Culture.. Cambridge, MA: Harvard University Asia Center, 2018. Wang, Pu. "From ‘Geschaeftiger Geist’ to ‘Zeitgeist’ Poetics and Thematics in Guo Moruo’s Translation of Goethe’s Faust." Translation and Modernization of East Asia in the Nineteenth and Early Twentieth Centuries. Ed. Lawrence Wang-chi Wong. Hong Kong: Chinese University of Hong Kong Press, 2017. 341-376. Wang, Pu. "Recite and Refuse: Contemporary Chinese Prose Poetry." by Nick Admussen. China Quarterly of no. 231 2017: 835-836. Wang, Pu. "Review." Rev. of Revolution and Its Narratives: China's Socialist Literary and Cultural Imaginaries, 1949–1966, by Cai Xiang; trans. Rebecca Karl and Xueping Zhong. China Quarterly vol. 229 March 2017: 253-255. Wang, Pu. "Revolution and Rhine Wine: January 16, 1928, Guo Moruo writes a political poem in his diary." A New Literary History of Modern China. Ed. David Der-Wei Wang et al. Cambridge: Harvard University Press, 2017. 337-342. Wang, Pu. "《愚公如何移山，电影如何革命：重温伊文思的二十世纪》（How Yukong moves mountains, how cinema makes revolutions: revisiting Joris Ivens’ twentieth century）." 《虹膜》（Iris, an e-book format journal on cinema） no. 102 (2017): <https://read.douban.com/ebook/43017217/>. Wang, Pu. "《王璞评彼得·盖伊《现代主义》︱如何讲述现代主义的身世故事》（How to tell the story of modernism: a review of Peter Gay’s Modernism）." 《上海书评》(Shanghai Book Review) (2017): <http://www.thepaper.cn/newsDetail_forward_1891744>. Wang, Pu. "《郭沫若与古诗今译的革命系谱》 (Guo Moruo’s modern translations of classical poetry: a revolutionary genealogy)." 《时代重构与经典再造》（The reconstruction of history and the transformation of the canon）. vol. 1 Ed. Li Yuyang. Taipei: Huamulan, 2017. 93-116. Wang, Pu. "《郭沫若的苏联纪行与左翼文化人的战后思考》（Guo Moruo’s travel to Soviet Union and the leftist intellectuals’ post-war thinking）." International Center of Critical Theory (ICCT). Peking University, Beijing. 06/25/2017. Wang, Pu. "《青春的旅程与时代的变奏》（The journeys of youth and the variations of time: a review of Song Mingwei’s Young China）." 《读书》(Reading) Oct, 2017: 71-78. Wang, Pu. ""The Uses and Abuses of History for Socialism: On Some Representations of National Antiquity in Socialist China""The Uses and Abuses of History for Socialism: On Some Representations of National Antiquity in Socialist China"." The Annual Meeting of American Comparative Literature Association, Harvard University. March 17-20, 2016. Wang, Pu. "Lu Xun (Zhou Shuren)." The Encyclopedia of Postcolonial Studies. 2016. Wang, Pu. "《郭沫若与中国革命：研究中的困难与困惑》(Guo Moruo and the Chinese Revolution).." The Institute of Advanced Studies, Chongqing University, China. 6/5/2016. Wang, Pu. "《郭沫若与古诗今译的革命系谱》(Guo Moruo’s modern translations of classical poetry: a revolutionary genealogy)." 《文学评论》(Literary Review) 2016. 4 (2016). Wang, Pu. "《“公”与“私”的变奏：郭沫若的“古代社会”想象的一个谱系》(“Variations of ‘the private’ and ‘the public:’ a genealogy of Guo Moruo’s imaginaries of ‘ancient society’”)." 《大文学评论》（Great Literature Review） 2015. no. 1 (2015): 108-120. Wang, Pu. "《一切都成为了寓意》（All becomes allegory: on Walter Benjamin’s Passagen-Werk）." 《读书》(Reading) 3/1/2015: 21-29. Wang, Pu. "《郭沫若与古诗今译的革命系谱》(Guo Moruo and a revolutionary genealogy of modernizing translations of ancient poetry)." “The reconstruction of the epoch and the rebuilding of the canon: an international symposium”, Peking University, Beijing, China. November 14-16, 2015. Wang, Pu. "《郭沫若与古诗今译的革命系谱》(Guo Moruo and a revolutionary genealogy of modernizing translations of ancient poetry)."." "Guo Moruo and the New Culture Movement", Chinese Academy of Social Sciences, Beijing, China. November 26-29, 2015. Wang, Pu. 《宝塔及其他》(The Pagoda and other poems). Yinchuang, China: Yangguang chubanshe, 2015. Wang, Pu. "Fantasy vs. Historical Truth: Guo Moruo and the Problem of 'Revolutionary Romanticism.'." The 2014 Annual Conference of Association for Asian Studies, Philadelphia. March 27-30. Wang, Pu. "History and Revolution Reconsidered: Guo Moruo and Cultural Politics in Wartime Chongqing." The 2014 ACLA Annual Meeting: Capitals, New York University. March 20-23. Wang, Pu. "Marx Enters the Temple of Confucius: A Chinese Translation between Antiquity and Revolution." A Faculty Lunch Symposium of the Mandel Center for the Humanities, Brandeis University. Waltham, Massachusetts. 10/23/2014. Wang, Pu. "Sinicizing Shelley, Modernizing Shi Jing: Poetic Monism and Modernizing Translation in the Work of Guo Moruo." China in Translation, a workshop, Fairbank Center, Harvard University. Cambridge, Mass.. November 21-22, 2014. Wang, Pu. "《孔夫子与“人民”:郭沫若和革命儒家的浮沉》(Confucius and the “People:” Guo Moruo and the Uncertain Fate of Revolutionary Confucianism)." Revisiting the Confucianism vs. Legalism Debates: A Workshop.. Chongqing University, Chongqing, China. December 6-7, 2014. Wang, Pu. "《郭沫若与今译问题》（Guo Moruo and the problem of modernizing translation）." The Annual Meeting of the Association of Guo Moruo Studies. Guiyang, China. June 27-29, 2014..
Wang, Pu. "《郭沫若与今译问题：兼谈“马克斯进文庙”》(Guo Moruo and the problem of modernizing translation, or, “Marx enters the temple of Confucius”)." A Lecture hosted by the Chinese Department of East China Normal University, Shanghai.. Shanghai, China. July 11, 2014. Wang, Pu. "抒情与翻译之间的“呼语”——重读早期郭沫若 (Apostrophe between the lyric and translation: re-reading the early Guo Moruo)." 新诗评论 (New Poetry Review) 18. (2014): 67-90. Wang, Pu. "Book Review." Rev. of The Chinese Translation of Russian Literature: Three Studies and The Reading of Russian Literature in China: A Moral Example and Manual of Practice, Slavonic and East European Review vol. 91 of 3 2013: 615-619. Wang, Pu. "Gramsci and the Chinese Left: Reappraising a Missed Encounter." Antonio Gramsci in the World, Duke University, Durham. April 19-20. Wang, Pu. "Gramsci and the Chinese Left: Reappraising a Missed Encounter." Rethinking Marxism: Surplus, Solidarity, Sufficiency, U Mass, Amherst. September 19-22. Wang, Pu. "Law, Morality, and the Nation-State in the Case of Zhou Zuoren: Revisiting the Rhetoric of “Culpability”." Frontiers of Literary Studies in China 6. 4 (2013): 573-589. Wang, Pu. "Law, Morality, and the Nation-State in the Trial of Zhou Zuoren: Revisiting the Case of Zhou’s Collaboration with Japan during the Second Sino-Japanese War." The Annual Meeting of the Association for Asian Studies (AAS), San Diego. March 22, 2013. Wang, Pu. "Modernizing the Ancient, or, how was Chinese Antiquity Rediscovered in the Twentieth Century?." Fall Fest. Brandeis University. October 27. Wang, Pu. "Rendering the ‘Zeitgeist:’ Poetics and Political Thematic in Guo Moruo’s Translation of Goethe’s Faust." Translation and Modernization in East Asia, The Chinese University of Hong Kong. May 29-31. Wang, Pu. "The Promethean Translator and Cannibalistic Pains: Lu Xun’s ‘Hard Translation’ as a Political Allegory." Translation Studies 6. 3 (2013): 324-338. Wang, Pu. "《时代精神的现象学：论郭沫若翻译》(The phenomenology of Zeitgeist: on Guo Moruo’s translation of Faust)." A Symposium on Contemporary Chinese Literature and Critical Theory. Beijing University, China. July 29 -- August 3. Wang, Pu. "《距离的阻滞（组诗，附创作谈）》(Distances at standstill, a long poem, with self-commentary)." 《中国诗歌评论：诗在上游》(Chinese Poetry Review 2012: Poetry at the river’s origin). Ed. Xiao Kaiyu et al. Shanghai: Shanghai wenyi chubanshe, 2013. 137-147. Fredric Jameson; trans. by Pu Wang. "全球化时代的“现代性”政治 (The politics of modernity in the age of globalization)." 文汇报 (Wenhui Bao) Dec 17, 2012: 访谈 (Interviews) 06. Wang, Pu. "Book Review." Rev. of Configurations of the Real in Chinese Literary and Aesthetic Modernity, by Peter Button. Frontiers of Literary Studies in China vol. 6 of 1 2012: 138-42. Wang, Pu. "Guo Moruo and the Problem of ‘Revolutionary Romanticism." The Annual Meeting of American Comparative Literature Association, Providence, RI. April 1, 2012. Wang, Pu. "Ren, Geren and Renmin: The Prehistory of the New Man and Guo Moruo’s Conception of the People." Frontiers of Literary Studies in China 6. 1 (2012): 78-94. Wang, Pu. "从“奥伏赫变”到“莱茵的葡萄”：“顿挫”中的革命与修辞 (From Aufheben to Rheinwein: revolution and rhetoric in a caesura)." 现代中文学刊 (Journal of Modern Chinese Studies) 2012. 5 (2012): 25-36. Wang, Pu. "灰色地带的意义 (The Significance of the "grey zone")." Rev. of 灰色上海，1937－1945：中国文人的隐退、反抗与合作, by Poshek Fu. 新京报 (The Beijing News) vol. 2012 September 22, 2012: Book Review Supplement. Wang, Pu. "Enlightenment as a ‘Romantic Science?’ Cultural Politics and Guo Moruo’s Rewritings of Ancient Chinese History." Rethinking Enlightenment in Global and Historical Contexts. 2011 ed. vol. UTCP Booklet 21/ICCT Series 1 Ed. Nakajima Takahiro et al. Tokyo: University of Tokyo Philosophy Center, 2011. 45-68. Wang, Pu. "Poetics, Politics, and Ursprung/Yuan: On Lu Xun’s Conception of Mara Poetry." Modern Chinese Literature and Culture 23. 2 (2011): 34-63.